Today we’re excited to announce three big updates to OneDrive and Office that make it even easier to work with other people, wherever you are. 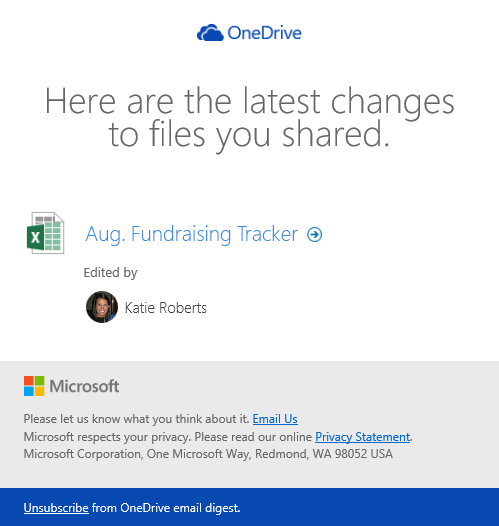 Formerly, users accessed the content shared with them via the Shared list in OneDrive.com. 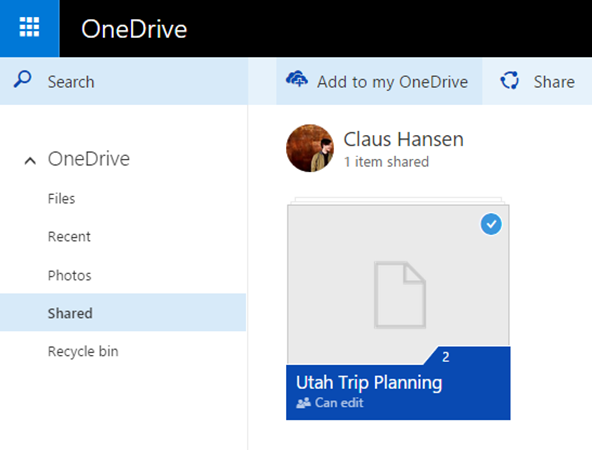 Now, with our latest update we are introducing “Add to my OneDrive,” which lets users add shared folders to their main OneDrive folder so they sync down to the OneDrive app on their Mac or PC, and so they can be viewed and edited in the OneDrive mobile app. 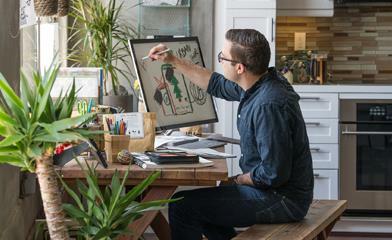 The ability to sync shared content to your desktop gets even more powerful when working with others – the latest version of Office lets multiple people work on the documents at the same time, without forking the document (when multiple copies are created due to overlapping edits by different people). This feature can only be found with OneDrive and Office. “Add to my OneDrive” lets you sync shared folders on Windows 10, Windows 7, and Mac; if you’re running Windows 8.1, upgrade to Windows 10 for free. For a full Q&A about this feature, please visit this page. Not only have we made it really easy to access and edit shared content, but we are also adding two new ways to be notified when people edit your shared documents so you can keep track of the changes others are making. On your mobile device, the OneDrive app will show real-time notifications of which document is being edited and who edited it – these notifications can also show up on your Apple Watch. Also, we’ll email a daily summary of edits to files you’ve shared – this is especially powerful when you are working on a group project and want to quickly see which documents have a latest version you might not be aware of. Changes made to the document will be saved in its version history, so you can always go back and restore a previous version if you don’t like the newest changes. We have begun rolling out these email and mobile notifications and they will become more widely available in coming weeks. In recent months we’ve shipped a lot of powerful search capabilities for your OneDrive, like being able to search for Office documents and PDFs by the text inside them. We’re excited that these powerful discovery features work not only for finding your own files, but for finding specific pieces of content that have been shared with you as well. We extended these features to shared items because while users often remember the file name and location of items they’ve created themselves, they frequently remember shared files by their contents. Office is the world’s most popular authoring experience, and with these new capabilities we hope that OneDrive and Office will continue to be the best way to get work done with others. We hope you’re as excited about these updates as we are, and as always, please let us know about future updates you’d like to see on our UserVoice!